如果您计划在任访问里斯本或移动到葡京, you’re probably making a budget (if you’re not, you should be). 否则, 你可能会问自己“是里斯本看病贵”. 今天, 我将讨论里斯本的价格，这样你可以计算出多少钱去里斯本一周, 一个月, 或如何预算，如果你正在计划 移动到里斯本. 这是一个指南，你知道你会付出多少在里斯本各种各样的事情. I have now been living in Lisbon for over a year, so I just updated the article to show you the differences in prices for things between 2017 和 2018. Housing and electricity are where we have seen the biggest increases. Food has remained pretty stable and groceries have become cheaper now that we purchase our staple items (toilet paper, paper towels, etc) in Lidl instead of Corte Ingles. 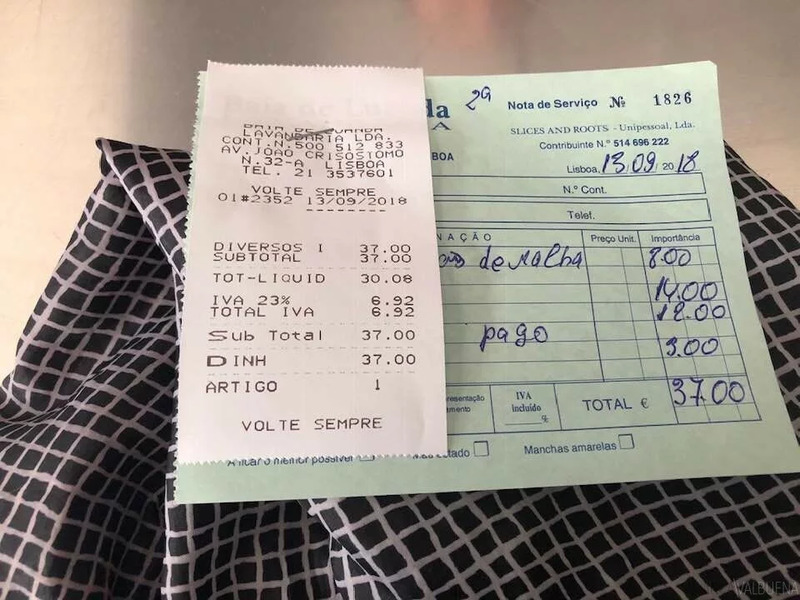 If you have questions about the price of a particular item in Lisbon, 发表评论. 住宿将是你最大的开销. 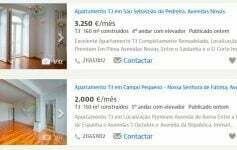 Because the average salary in Lisbon is so low (860 Euros in Lisbon, 560 in Portugal), many locals have begun renting their homes out on Airbnb. Investment from foreign countries (mostly France) has increased the cost of homes in Lisbon. This means that vacation rentals are more expensive. The same thing has happened with hotels. 由于城市的普及, 酒店定价显著上升. 你也需要做研究，看看是否像WebSummit事件回事. 价格将围绕这些事件更高. I still think that Airbnb is the best value because of the amenities you get (if you haven’t used the service yet, 抢我的 邀请 for a sweet discount). Hostel: 旅馆将是最便宜的, 但这是有代价的. 他们是一支伟大的选择，如果你是单身旅行者，因为你得到满足他人, 但是你放弃了私密性和舒适. A private room in a hostel will cost you around €60. A shared room should cost you between €20-30. Hotel: 您在里斯本酒店平均将花费你每晚之间€249-300. 请记住，你必须支付演员，如餐, 洗衣服务, 等等. Airbnb: 我包括平均价格为工作室一 1 Airbnb住宿卧室所以我们比较苹果和苹果. Hotels & hostels give you 1 房间, 与制作的Airbnb，你可以找到所有类型和住宿的大小. An Airbnb rental for two will cost you under €100. We used AirBnB to truly get to know the different neighborhoods before choosing an apartment in Lisbon. It turned out to be a great option for us and saved us money and heartache in the long run. If you’re interested in getting an AirBnB discount code, you can use mine. If you end up using it, I also get a credit towards my account. Craigslist: 当心Craigslist的. 如果你看到的东西，看起来太异想天开, 它绝对是. 这里有一个小宝石 Craigslist的骗局 我发现有. 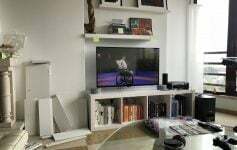 当然, there may be a few decent vacation rentals there, 但我告诉你不要浪费你的时间. 在里斯本外出就餐仍然是欧洲最好的一个值. There are restaurants where you can eat at under €10 for two people and leave completely full. 有迹象表明，会欺骗你的地方, 尤其是在更多的旅游区. 例如, locals are familiar with a place called “Made in Correeiros”. They cheat tourists into spending €100 per plate. They’ve been doing this for years… so my number one piece of advice when eating out is to get out of the Tourist traps or check review sites prior to committing to a meal. Kiosks: The Kiosks of Lisbon offer quick snacks and drinks (beer, wine, coffee). 这包括从empadas一切的Pastéis小三明治叫做祝酒. 有几个信息亭是一个有点爱好者，专门从事某些类型的菜肴喜欢海鲜或亚洲. 坚持你经常亭如果你正在寻找省钱. At most €6 will get you a beer and a toast. Churrascarias: 这是葡萄牙烧烤节. 如果你是一个食肉动物, you definitely want to hit these up. €10-15 should get you a meal and a beer with plenty of leftovers. Tasca: Tascas serve homemade food (like a good Portuguese grandma would make) at super cheap prices. €10 should be enough to feed you well. Leitaria: 虽然Leitaria意味着乳制品, 这些餐馆包上的一记重拳. 这些服务典型的葡萄牙食物以非常低的价格. 同与churrascarias, €10 should be more than enough for a main course and a beer or wine. Other Types of Restaurants: 有吨里斯本其他类型的餐馆, 如果你愿意的话, 你可以花500€一顿饭. 话虽如此, 你可以得到一个交易甚至在米其林星级餐厅. 例如, 十一其中有 1 星级服务于平日35€午餐. 所以，就把时间出发前做你的研究. 我最喜欢的餐厅用餐镇: These aren’t all “cheap”, 但质量，价值主张 100% 那里. Viva Viagem Card: 这是最流行的纸牌. 它的费用€0.50卡，当你想进入它，你可以加载尽可能多的钱. 这里唯一的问题是，它并不像纽约工作，在那里你可以刷卡的人. 您将需要每人一卡. Lisboa Viva Card: This is a card for locals & residents. The card itself costs €7.00 and is sent to you by mail. 您可以在ATM上使用您的葡萄牙银行卡加载. 电车: 刚抬起头, 我从来没有采取电车. 对我来说, 它太旅游观光所以有些事情不是我感兴趣的. 该 28 (that’s the most popular one) is just too crowded. 如果你想坐电车, 挑选另一条线，并保存自己的等待和恶化. A ride on most trams costs €2.90. 出租车: The minimum fare on a taxi is €3.25. 也就是说只要你在得到指, 您将被收取该. Then each additional kilometer costs €0.47 (1 km is .6 miles). 你可以冰雹出租车, 但它更容易让他们来接你在出租车排队. A ride from el Corte Ingles to the Airport will cost you €10. 虽然这个选项是便宜, 还有一个更便宜, 更方便的选择. Ride Share Apps: Uber is very popular in Lisbon (not with taxi drivers, of course). A ride from El Corte Ingles to the airport cost €6.74 (you can use my code to get a discount on your first ride with code nellyg235ue. 如果您对里斯本的问题, 只是问. Wondering how much a car rental in Lisbon costs? Maybe you’re curious about how much a tour in Lisbon will set you back? Just ask in the comments and I’ll get back to you in a jiffy. 房屋可能是全城最昂贵的东西. The bad news (as if that was not bad enough) is that prices are rising daily. 这将花费您€1300每月租房 6 months ago is being rented for €2200. 租金在里斯本的费用将由居委会变化, 但是这会给你一个想法，在城里的平均值. 电动: 于 2017, it cost us around €78.23 for a 2 在卧室 110 meters during the Summer. The price of electricity in Lisbon has significantly increased year-over-year. This year it doubled to €114,27. 我们在家工作, 所以我们使用了更多的电比普通的人会, but we don’t normally use A/C (our house has an A rating, so the temperature is pretty good without it. Here’s a comparison of our electric bills in Lisbon Summer to Winter 2017 & 2018 (note – moved to Lisbon in April 2017, so we don’t have the price of electricity in the winter in Lisbon for that year). 水: We do laundry at least 3 times per week and I love a good, long, hot shower. If you are more economical than I am, your costs could be lower. The invoices are for 2-month periods. 2018: €78 gets you a package from Vodafone that includes high-speed internet (200mb), 基本电缆, 电话线和两部手机用 5 牡蛎. I’ve heard MEO is cheaper, but we’re still quite happy with our service from Vodafone. 2019: We upgraded some, so now we are at €128 for cable, a phone line (we don’t use) the fastest internet available and three phones with 9 gigas each). This depends on what kind of heating you use. If you use electric, be prepared for a ridiculous bill. As you saw above, our electric went to almost €400 in the winter to heat a 2 bedroom 100-meter apartment. 今年, we picked up a hotspot from Galp. It is a butane gas heater that cost us €125. We paid €30 for the deposit on the gas canister and the actual gas cost us €5. It heats up a 400-meter room quite well and will save money in the long run. 至今, we are in love with ours. For projects that are not done on an hourly basis (example procuring a NIF for an NRH residency) prices are by project and usually cost somewhere around €2500-4000. I figured I should add a few more random costs. If there is something you don’t see here, ask in the comments so I can update the blog. Dry Cleaning: depends on where you go, but on average, I pay €6 for dry cleaning a sweater. Pretty affordable compared to NYC. If you have a question about the price of other things in Lisbon, ask in the comments & we’ll get back to you in a jiffy! Thanks Matt! Glad you liked it. 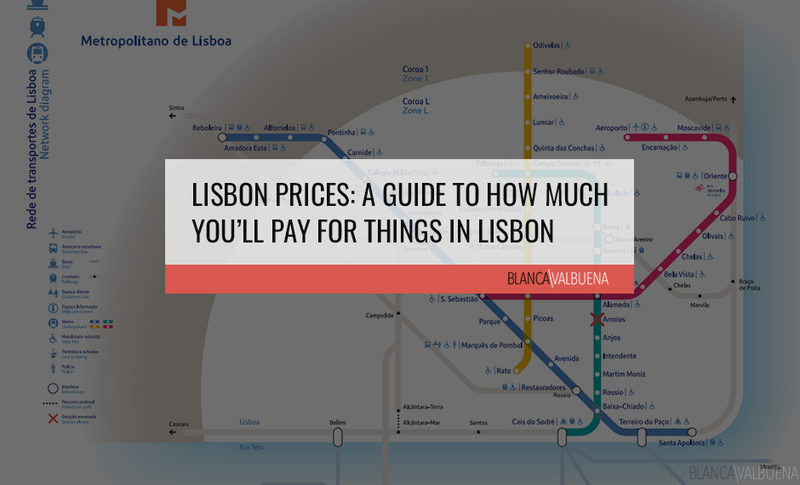 Lisbon is a city that can be quite affordable. I think that is why it is becoming so popular with expats. Do I need to rent a car or will the public transport get me to places I need to visit. 谢谢. You’re going to have an amazing time. So…on Albufeira. The beaches are gorgeous, but the tourists that go there tend to be loud and drunk (totally fine, unless you’re looking for relaxation). If you’re not into the beach, why not hit up the Alentejo region. It’s beautiful and there are tons of wineries. It’s also very close to Lisboa. Within Lisbon itself you can get around without a car, but if you’re planning to go to Albufeira, I would 100% recommend that you rent a car. How much do people earn typically in Lisboa per month? Are people usually paid per month, weekly, or bi-weekly? Thank you! In Lisbon the average salary is around 850-900 欧元. I’ve heard pay here in Portugal is on a monthly basis, but I’m not 100% on that one. How can people survive if housing rental costs are more than the average salary? 3. Live outside of the city proper (used to be Benfica, but prices there are also getting high – Almada seems to be an affordable option). This is causing many of Lisbon’s talented youth to move outside of Portugal to the rest of the EU. It’s something the government will have to deal with. We have a private group where we vet and suggest the best lawyers, realtors, handlers, tax help, 等等. If you are interested shoot us a private message and get an invite. – Also, do you have ANY advise on trying to navigate the toll roads system in Portugal? 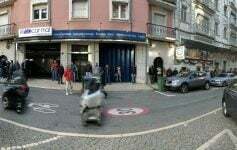 I am thinking about renting a car to drive from Porto to Lagos at the end of the trip. Thank you! Again, great information and super helpful! Congrats and welcome to Portugal Shannon!!! If you’re just coming for a short amount of time, go to Vodafone. They sell SIM cards that last 2 weeks for 10 euros (data only). Easy to recharge too. Renting a car is easy too. Just ask for the VIA Verde to be included in your package. That will make your life a lot easier. The highways tend to be pretty light on traffic, so it’s a nice ride, but the Portuguese drivers think they’re on the Autobahn…so just be careful driving. They also like to cut you off at the last minute. Ah! Thank you! You are so helpful 🙂 I cannot wait to arrive. I will move to Lisbon in march as residential. I am Looking for a flat outside Lisbon cause my wage is only 50K EUR per year and I have a Family to be fed. Do you knwo the Prices of the Motorway? As Example to cross the bridge coming from setubal? is there a resident solution with discounts? I have to calculate very sharp cause i have a house abroad which have to be Paid until ist sold. 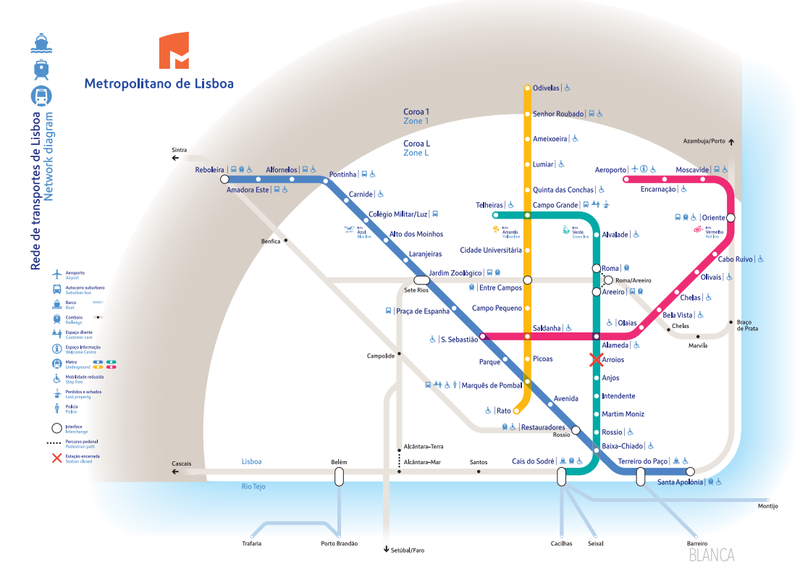 with 50k net you can afford in Lisbon and don’t have to bear daily traffic to Lisbon. The metropolitan area of Lisbon has 3 million inhabitants and many of them work in central Lisbon so you can picture the chaos that this city has. My question is rather why do you want to waste your time and hard-earned euros on this crazy city? The city is chaotic and overcrowded with tourists in the city centre. Lisbon is more chaotic than other parts of Portugal, but for someone who comes from NYC, it’s quite calm here. Just like when I lived in NYC, I only went to Times Square if I absolutely had to. I lived on the UWS which was more family-friendly and quiet. For me and my previous life, Lisbon is calm. I don’t often go to Chiado, 普林西比真实, or the Rossio area. There are some great neighborhoods in Lisbon that tourists haven’t discovered yet (thankfully), where a calm life can be had. But then again, it depends on each person’s definition of calm. I guess affordable has different meanings. Lisbon rents are more expensive these days than in Berlim or Copenhagen, which is crazy because salaries are 3 times lower. Lisbon used to be affordable but now everything is so expensive from housing to restaurants. I think you should revisit the tone of the post since a lot has changed over the past years. 是啊, everything is relative. I can absolutely see the discrepancies between the average salary and rents here. It makes it very hard for Portuguese people to stay in the city. 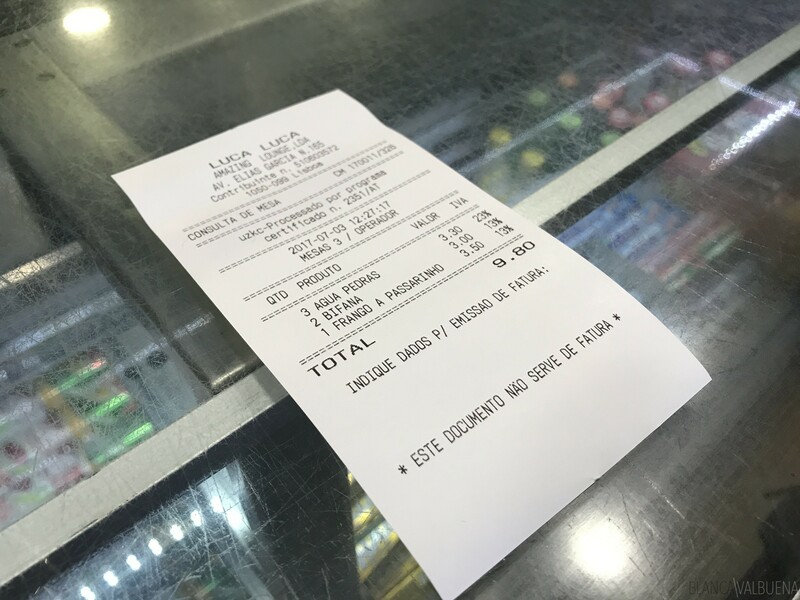 I haven’t seen food prices increase so much in the 2 years that I have been living here (I also visited Lisbon yearly 5 years before my move). That’s one of the reasons I try to update the price of different items year over year. My goal there is to give people an idea of how prices fluctuate in the city.